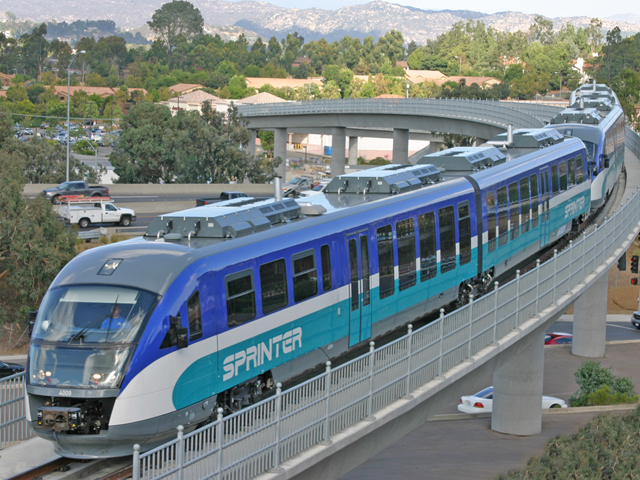 A suspected drunken driver’s truck was struck by a Sprinter train near Vista Thursday night, but neither he nor any of the train’s 37 passengers were injured. The driver was headed west on South Santa Fe Avenue but became stuck on the tracks near the intersection with Woodland Drive shortly after 8:30 p.m. Thursday, sheriff’s Deputy Ed Macken said. The driver was able to get out of the truck before the crash and was spotted trying to stop the train by waving it down, Macken said. He was not struck, but his truck sustained major damage. Following the crash, the driver was arrested on suspicion of drunken driving, driving a vehicle onto railroad tracks and driving with a suspended license, according to Macken. His name was not immediately released.